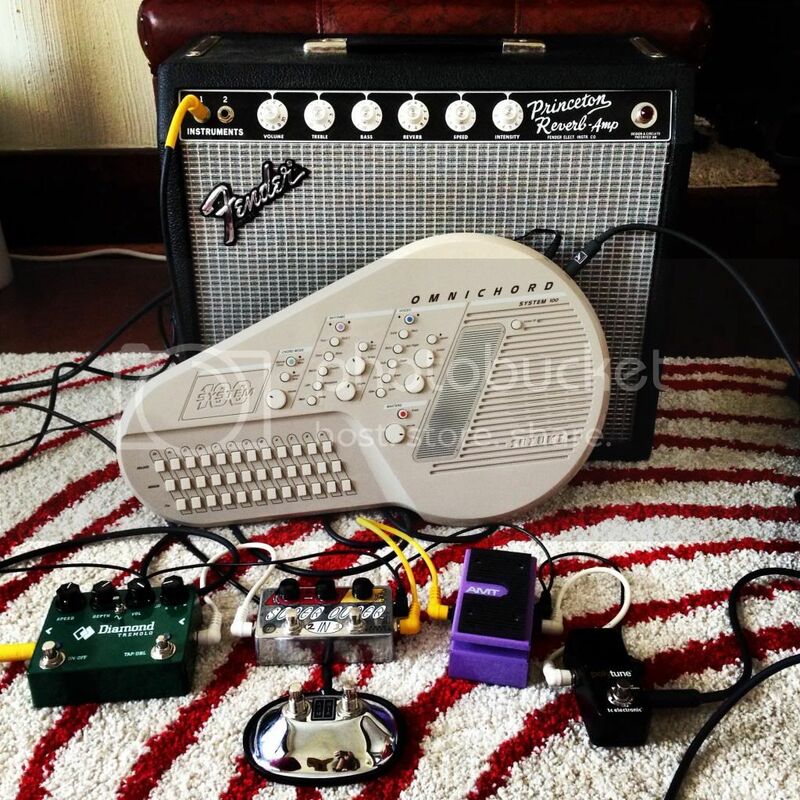 Posted: Thu May 22, 2014 3:05 am Post subject: Your "setup of the day"
Yea yea, stolen from the "forum that shalt not be mentioned"
We have a "show your gear" thread, but let's see what everyone uses on a day to day basis. Really great app, by the way. More synth sounds than I can count. Not because I can't count very high, but because there are so many. 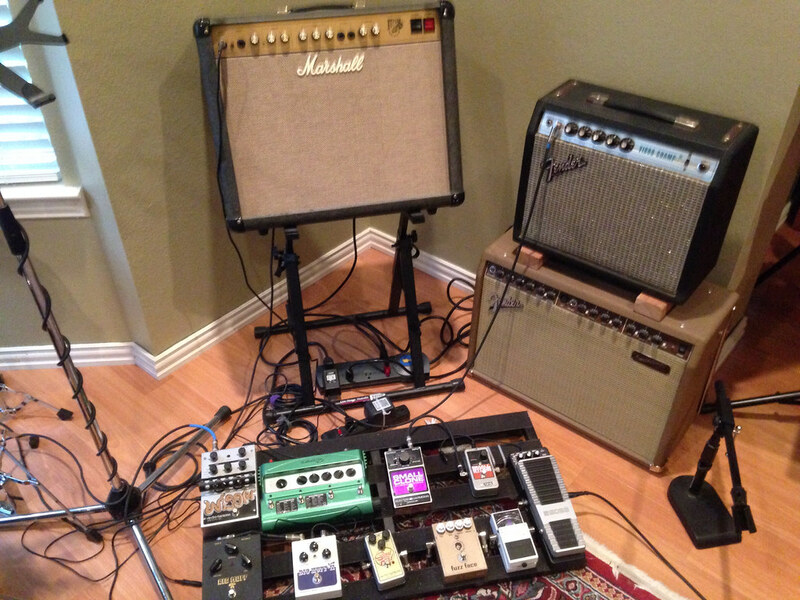 Posted: Thu May 22, 2014 9:48 am Post subject: Re: Your "setup of the day"
Great picture. Outstanding setup. Simple and a lot of taste. I mostly play my acoustic, just don't have a room to play through amp, that is sad. I like to play some loud chords. My day to day, home use pedal setup is the same as my band rehearsal/gigging setup, I use a different amp at home though. 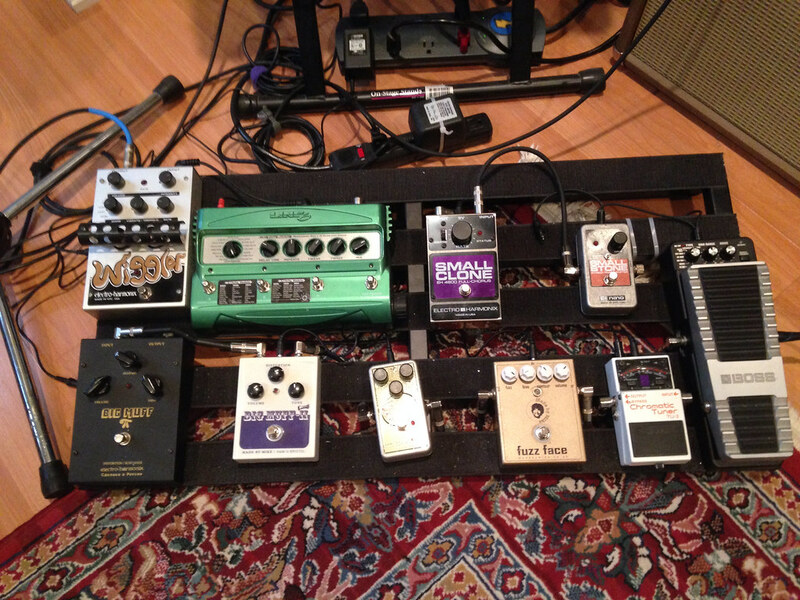 Sometimes i'll add something swirly after the delay, such as a Boss BF2 or MXR Phase 90 Script Reissue. The GE7 will be coming off soon though and will be replaced with a Fredric Effects Golden Eagle that I have just ordered. Is two tuners a typo or am I missing something clever? It's a typo. Corrected above. 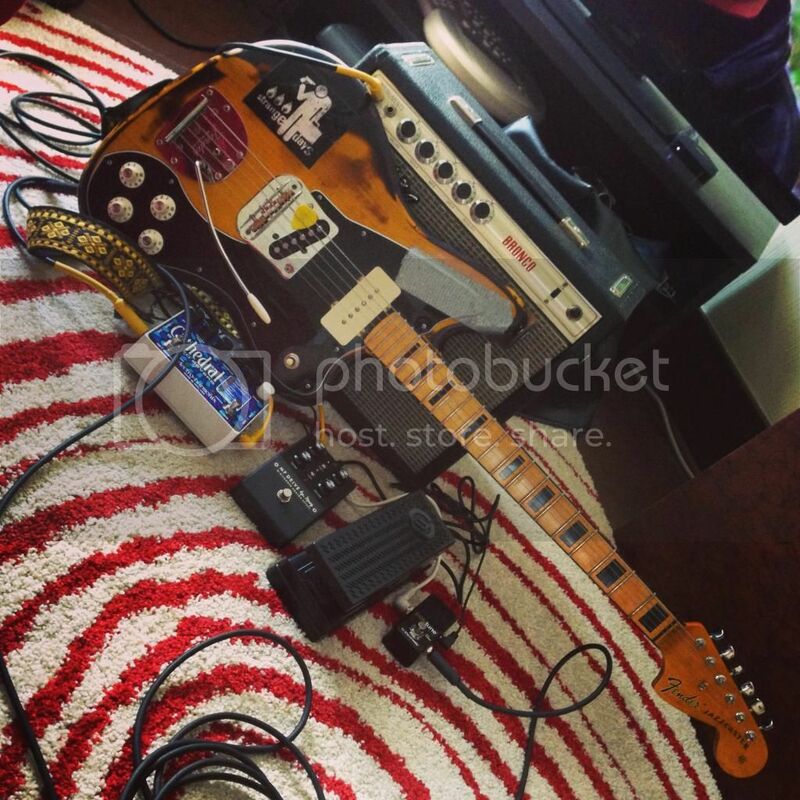 been running my jaguar through my silvertone lately. still keep the big muff plugged in about 99% of the time. sometimes I'll put a lpb1 in the chain too. usually day to day I run the jazzmaster but I broke the high e last practice and haven't felt like hitting a guitar store to grab strings to restring it so it's just kinda been sitting there for a week. 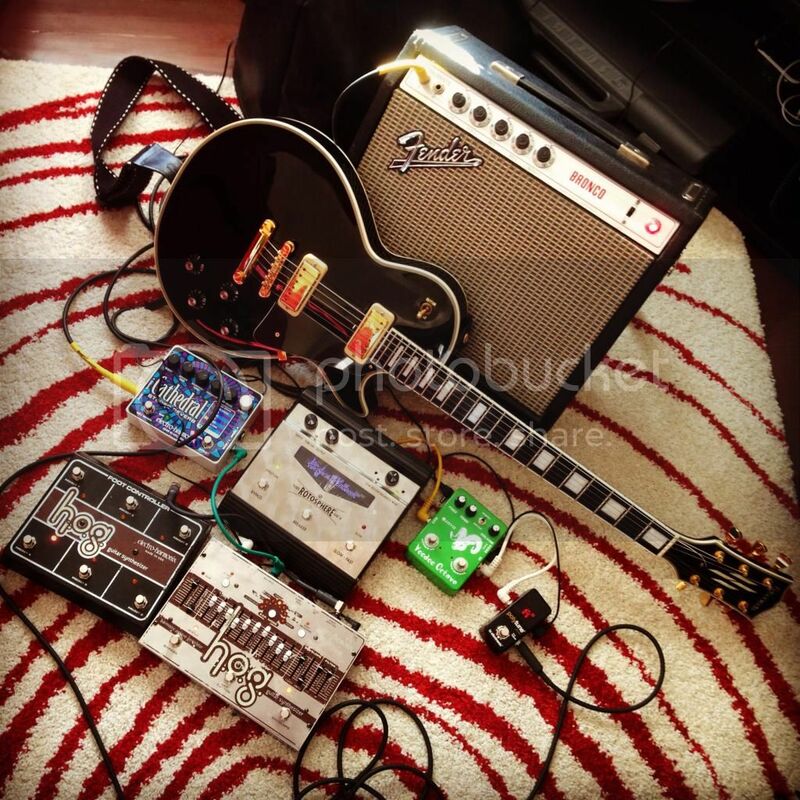 then practice/live it's the silvertone and hot rod deluxe played through my jazzmaster. 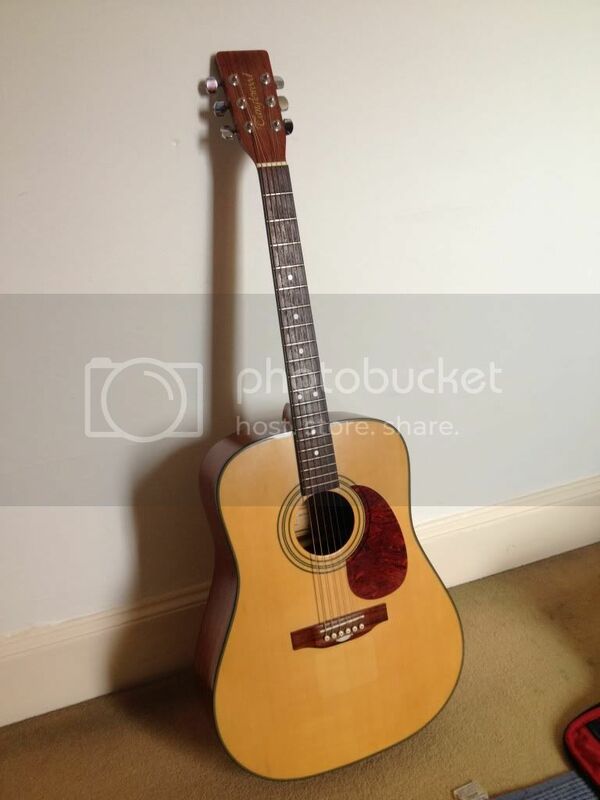 On holiday and staying with my parents, so only really have my old Korean Tanglewood here. 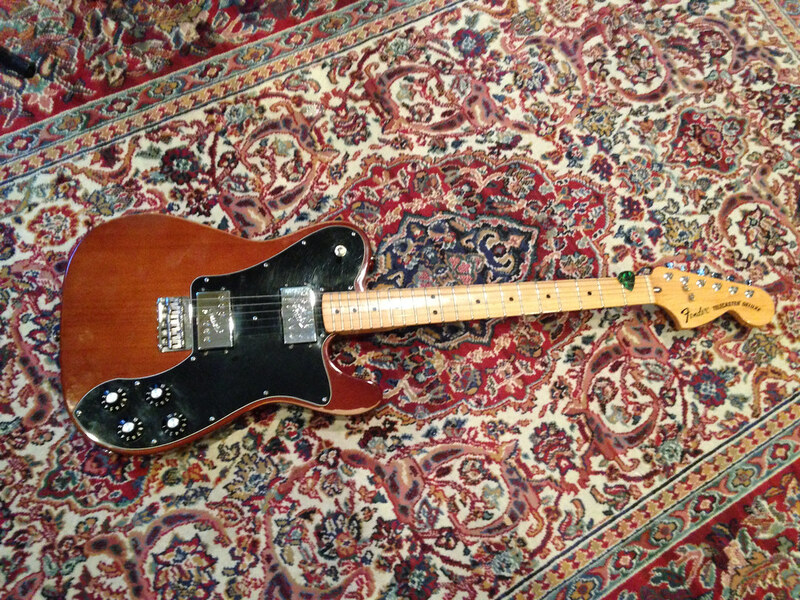 Bought in the mid 90s, and was one of the first guitars I bought. Into my Rivera Chubster with an EV speaker. 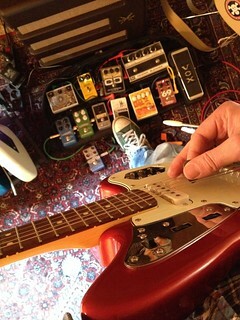 JM Jazzmaster into Mustang IV straight up. yeah it is, i got it on both my phone and my ipad, and it was $4.99. apparently, you can also control it with other apps while its in the background, so im gonna find out what i can use with it. an arpeggiator would be nice. Just got a new guitar and have been playing that exclusively the last couple of days with my pedalboard and VibroChamp. Hog power source arrived, this thing has a learning curve, I hooked up my moog exp pedal and tried out some settings from ehx. I didn't like the exp on the mf drive, so this works out well. i'm very very jealous of the mini-humbuckers. 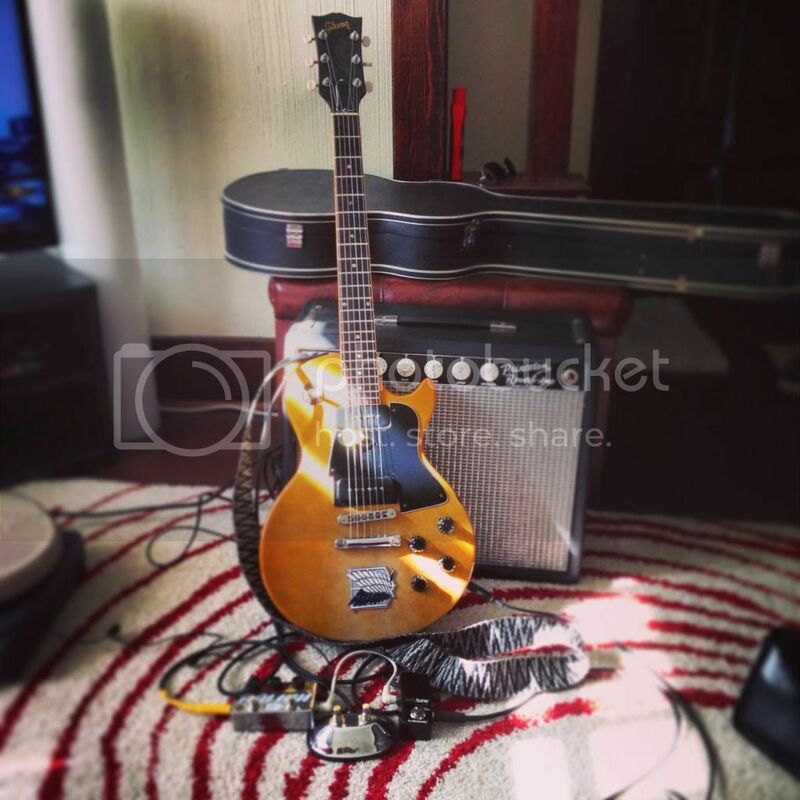 most coveted guitar i would love is a les paul deluxe. I am sometimes kept awake at night just thinking about this guitar.